The Institute of Fundraising has launched an initiative designed to improve equality, diversity and inclusion in fundraising. The initiative, known as the Change Collective, comes after research discovered that people from BAME, LGBT+ and disabled backgrounds are under-represented in the profession and women are less likely than men to progress up the career ladder. The collective's main objectives and what can be done to achieve them are set out in a Manifesto for Change, which institute members will be encouraged to sign up to. The objectives include the development of an IoF charter on equality, diversion and inclusion that bans unpaid internships, and the development of a women-into-leadership programme. The institute will build on the manifesto with a 10-year EDI strategy next year. The Change Collective has been set up after nine months of conversations between the institute and its members, supported by an advisory panel on equality, diversity and inclusion chaired by the corporate strategy expert Sufina Ahmad. Ahmad said in a statement: "It is important that the fundraising community comes together to be part of the solution in a proactive way. "I strongly encourage those in fundraising and the charity sector more widely to read the manifesto and join the Change Collective." The institute is also urging fundraising charities to complete a survey that will enable it to benchmark EDI progress. Ceri Edwards, director of engagement at the institute, said it would monitor progress in key areas every six months to ensure progress was being made. 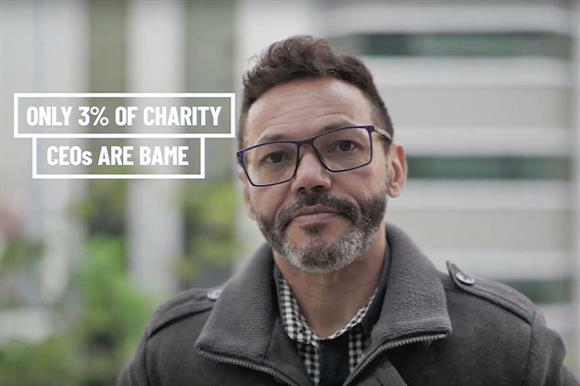 An online IoF survey of 1,492 people in 2013 discovered that the fundraising profession was less diverse than the general voluntary sector workforce, with fewer people from ethnic minorities and fewer people with disabilities. It also found that 19 per cent of men worked at director/chief executive level, compared with just 9 per cent of women. Peter Lewis, chief executive of the institute, said in a statement that he looked forward to "working with our members, supporters and the wider charity sector to deliver a truly equal, diverse and inclusive profession".